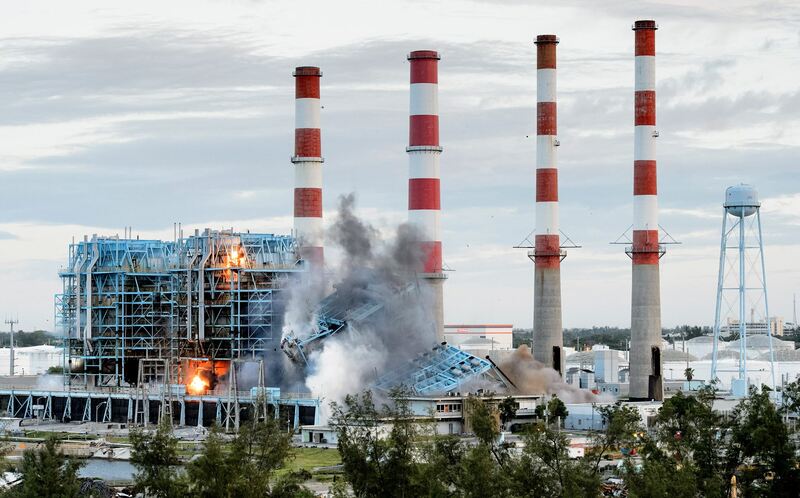 On July 16, 2013, DHG successfully demolished a 1960s-era Port Everglades Power Plant and in its place Florida Power & Light is building a new, more fuel efficient plant that runs on clean, low-cost American natural gas. 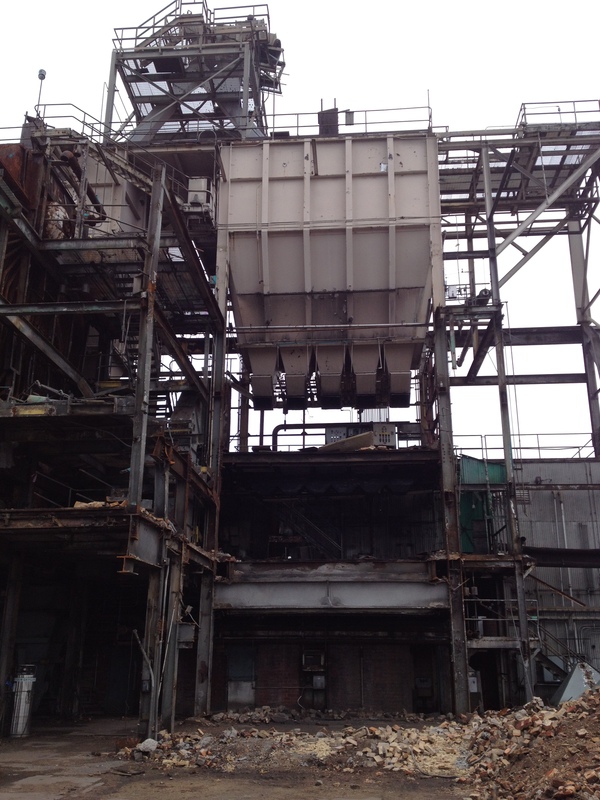 Asbestos abatement, demolition and removal of FP&L’s Port Everglades Power Plant consisted of (4) generating units, (2) nominal 200-megawatt units (Units 1 & 2) and (2) nominal-400 megawatt units (Units 3 & 4) each consisting of conventional dual-fuel fired steam boilers, steam turbine generators and associated support facilities. 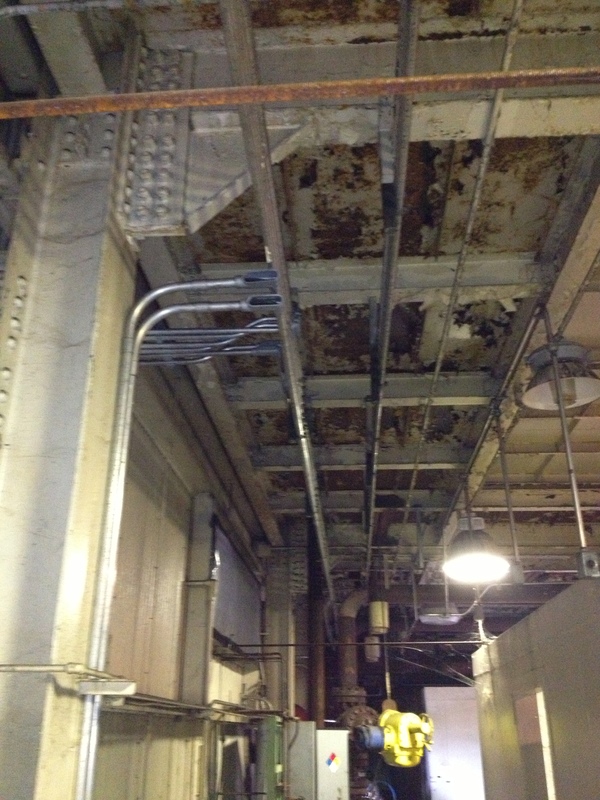 DARI- Demolition & Asbestos Removal Inc. was subcontracted to perform asbestos abatement. 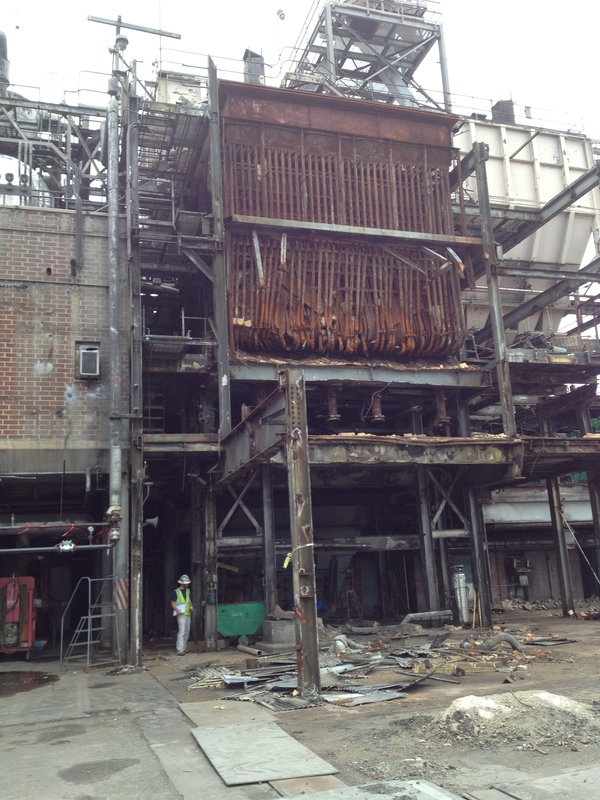 DHG utilized both conventional and implosive demolition techniques to demolish the facility. Also, contracted to remove the footings and foundations. 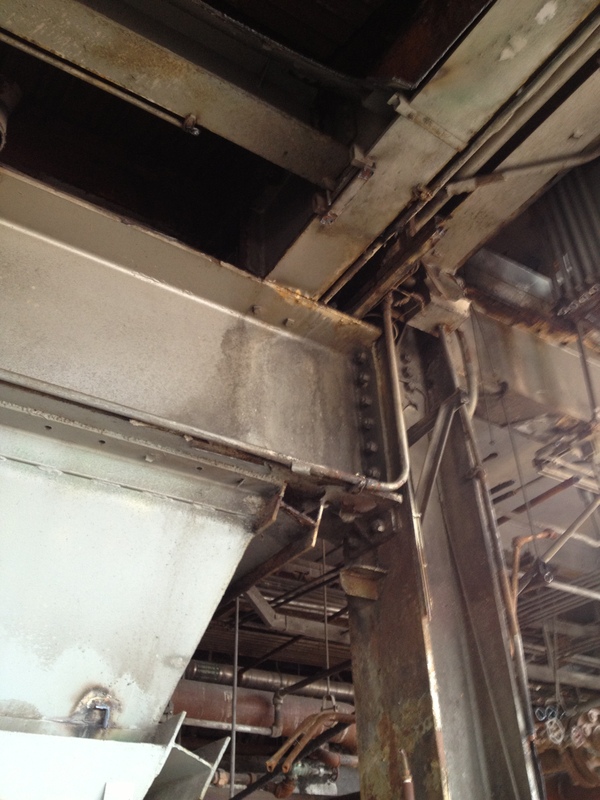 On July 16, 2013, DHG successfully imploded the (4) boilers and (4) – 350′ stacks. DHG recycled in excess of 98% of facility property. …….Here’s to another 55 years! The D.H. Griffin family of companies began with the opening of our demolition company. D. H. Griffin Wrecking Company, Inc. was founded in 1959. Since that first project in 1959, the company has grown steadily. In 1967, the small demolition and recycling company known today as D. H. Griffin Wrecking Co., Inc. was incorporated. In the years since that time, the wrecking company has grown to be the one of the largest demolition contractors in the world. Engineering News and Record (ENR) ranked D. H. Griffin Wrecking Co., Inc. in the Top 20 Firms in Demolition and Wrecking, as the 3rd largest demolition company in the United States in its annual ENR 2013 Top 600 Specialty Contractors issue in October 2013. In the same issue, Demolition & Asbestos Removal Inc. (DARI) was ranked in the Top 20 Firms in Asbestos Abatement at #13.